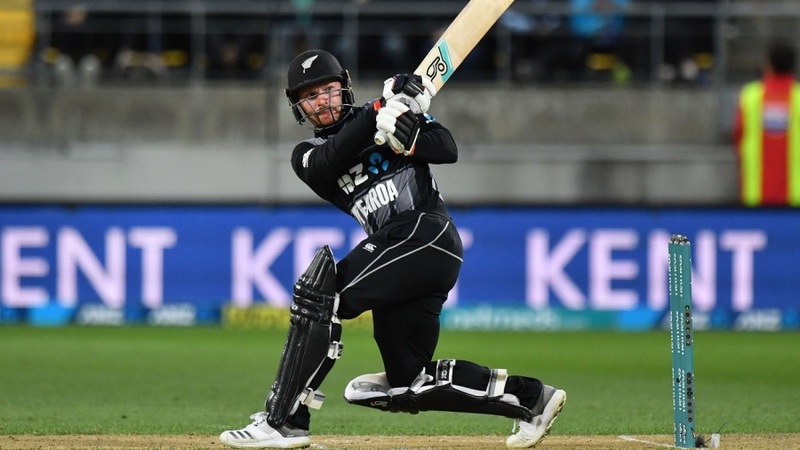 The first T20I international between New Zealand and India saw the hosts crush their visitors to hand over the touring party their biggest losing margin by runs in T20I’s. Tim Seifert was the hero of the match, who initiated the dominance of the hosts by scoring a thunderous 84 in just 43 balls to help the Kiwis post a gigantic total of 219. In reply, the Men in Blue only managed to score 139 runs, thus losing the match by a mammoth 80 runs. The Indian captain, Rohit Sharma, won the toss and elected to field first, hoping that the moist in pitch would aid his speedsters to pick up initial wickets. However, he was completely proved wrong by Kiwi openers, who managed to post an 86-runs partnership for the first wicket, before Colin Munro was dismissed by Krunal Pandya in the ninth over. Another 48-runs partnership between Seifert and Kane Williamson ensured the Black Caps to reach the 130-runs mark inside 12 overs. However, Khaleel Ahmed got the better of Tim Seifert in the 13th over, thus dismissing the Kiwi opener after a well-made 84 runs innings. Hardik Pandya and Yuzvendra Chahal then picked up the wickets of Daryl Mitchell and Kane Williamson in two consecutive deliveries to put the pressure back on New Zealand batsmen. However, quickfire innings of 23 and 20 by Ross Taylor and Scott Kuggeleijn, respectively, ensured that the Kiwis posted an above par total of 219/6 in the allotted 20 overs. In reply, the Men in Blue lost their captain early into the innings. However, a 33-runs partnership between Shikhar Dhawan and Vijay Shankar ensured that the Indians were back on track, However, in the sixth over, Shikhar Dhawan was cleaned up by Kiwi pacer Lockie Ferguson to hand over India their second jolt into the innings. Continuous further wickets then tumbled for the Men in Blue as soon they were reduced to 77/6 inside 11 overs. A late 52-runs partnership flourished between MS Dhoni and Krunal Pandya took the Indian total beyond the 125-runs mark before Krunal too was dismissed by Tim Southee after the southpaw was caught behind by Kiwi-keeper Seifert. In the next 14 deliveries, India further lost 3-wickets as the men in blue were bundled up for 139 runs inside 19.2 overs, thus losing the match by a mammoth 80-runs margin. This loss is also the biggest for India in terms of losing margin in T20I. The next match is scheduled to be played at Auckland on the 8th of February, and it would be interesting to see whether India would be able to bounce back or will they concede the series without giving the Kiwis a run for their money. 1st T20I NZ vs IND Match Prediction – What will be the result?